The Colorado Music Festival starts June 27 and concludes on August 6. The web site is here and is an unattractive mess. In the middle, there’s a “Brahms Festival.” Over eight days you can hear all four symphonies, two of the serenades and all of the concertos, including the Double Concerto. 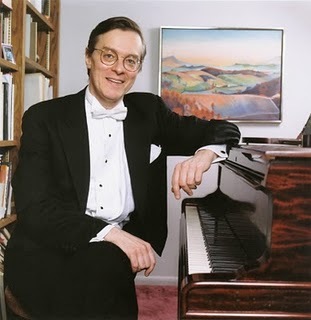 The soloist in the D-minor concerto will be Peter Serkin, a major international artist — absolutely worth hearing, although we did just have an outstanding performance of the work by Christopher Taylor with the Boulder Philharmonic. Valentina Listisa is playing the B-flat concerto, and she seems to be a rising star. On July 29 and 30, Jane Eaglen will sing the Liebestod followed by Loren Maazel’s Wagner arrangement, “The Ring Without Words.” Jane Eaglen has had vocal problems lately, but hopefully she’s doing well now. If so, why fly her out to sing for 10 minutes? On August 1, we can hear Golijov’s klezmer-flavored Dreams of Issac the Blind and the Bruckner D minor Requiem — which might not be as incongruous as it sounds. So it’s another strange season for the CMF: ADHD programming, probably 50 percent pops or straight-out pop. Apparently this works for them in terms of ticket sales. 2008’s Beethoven festival drew well, although the performances were inconsistent and inconsistently prepared. So this year, we get five all Brahms concerts in a row. This is of course the bicentenary for both Schumann and Chopin. Schumann is represented on the Vienna New Year’s program with the Konzertstuck for Four Horns and Orchestra, but that’s because it was Michael Christie’s premier piece with the CMF. Otherwise, nothing from either. Given the close relationship between Brahms and Schumann, perhaps an evening representing both of them would have been in order. In the early days of the CMF, Tuesday nights were given over to chamber performances featuring members of the orchestra and occasional guest artists. This has been completely eliminated, although there are two Wednesday “Chamber Music at the Yard” programs. No details available. You can view schedule of this puzzling season here.